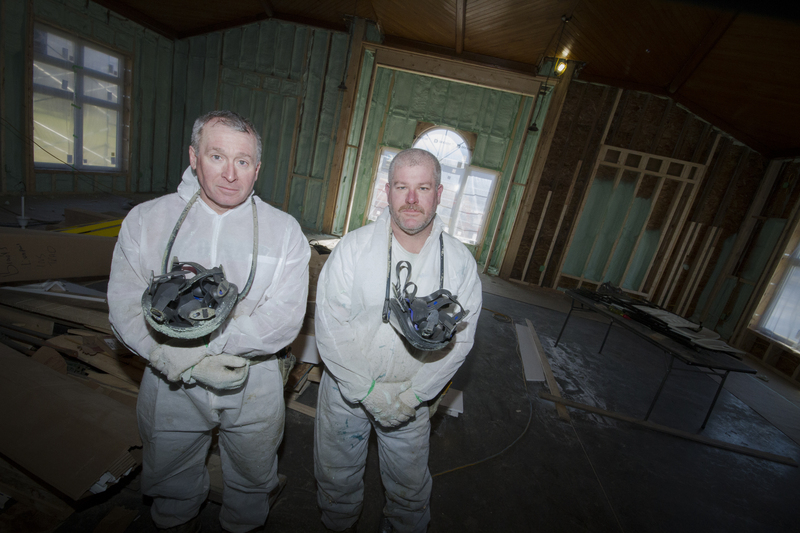 As long time employees of the now closed Bowater Paper Plant in Liverpool, Nova Scotia, these brothers were looking for a source of income to support their families. How they got the idea sort of just came to them. With energy savings on everyones minds, it didn’t take long for the idea of Brothers Insulfoam to come to fruition after realizing it cheaper to insulate than burn more fuel. With the help of South Shore Opportunities (CBDC), they were able to secure start up financing and undergo business training which allowed them to acquire the skills needed to grow their new business. Currently operating with one truck, both Reid and Kirk are on the same page when it comes to the future direction of the business. “We’d like to acquire another truck and hire a guy to run it” said Reid enthusiastically.